Brooklyn born, Brown has worked with and learned from Jennifer Muller/THE WORKS, Mary Anthony Dance Theatre/ PHOENIX, Judith Jameson, Bessie Schöenberg and Ann Carlson. As a guest artist, he has taught contemporary dance at institutions such as: NYU Tisch School of the Arts, Ohio State University, Koteba Ensemble d’Abidjan, and the Alvin Ailey American Dance Center. Brown’s choreography has been performed by Alvin Ailey American Dance Theater, Ailey II, Dayton Contemporary Dance Company, Philadanco, African American Dance Ensemble, Def Dance Jam Workshop, Cinque Folkloric Dance Theater, Cleo Parker Robinson Dance Ensemble, Jennifer Muller/ THE WORKS, and Jeune Ballet d’Afrique Noire. 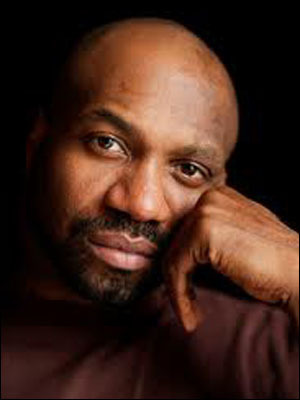 Brown has received the American Dance Festival’s Humphrey/ Weidman/ Limón Award, New York Dance and Performance Award (Bessie), Black Theater Alliance Award, Def Dance Jam Mentor of the Year Award, as well as fellowships from the Edward and Sally Van Lier Fund, National Endowment for the Arts, New York Foundation for the Arts and John Simon Guggenheim Memorial Foundation. For more information, visit the Evidence Website.